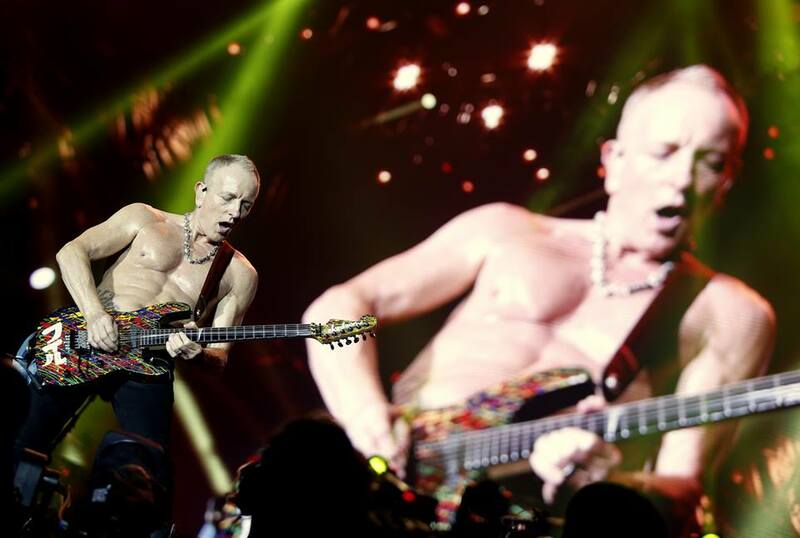 Def Leppard guitarist Phil Collen has left the band’s co-headlining tour of North America with Journey. Trixter guitarist Steve Brown made his 2018 debut with the group during a May 25 show at the Hersheypark Stadium in Hershey, PA, where fans were given a heads up about the lineup change shortly before showtime. "Good evening, Hershey. I am Joe Elliott. Welcome to what should be a great night,” said the Def Leppard frontman. "I have an announcement to make. And I'd like you to spread the word as people come in. But, very sadly, Phil Collen cannot be with us this evening. He has a family emergency back in California. “So we are very blessed that our very good friend Steve Brown, who, some of you may remember, stood in for Vivian about four years ago when Vivian couldn't make a couple of shows, has learned the bits very, very rapidly and, with Phil's blessing, will join us on stage tonight…and for the immediate future. As Elliott mentioned, Brown stepped in to assist the band in 2014 while guitarist Vivian Campbell was undergoing treatment for cancer. Collen’s absence comes just days after Def Leppard and Journey launched their tour in Hartford, CT on May 21; the trek will wrap up in Los Angeles in early October.